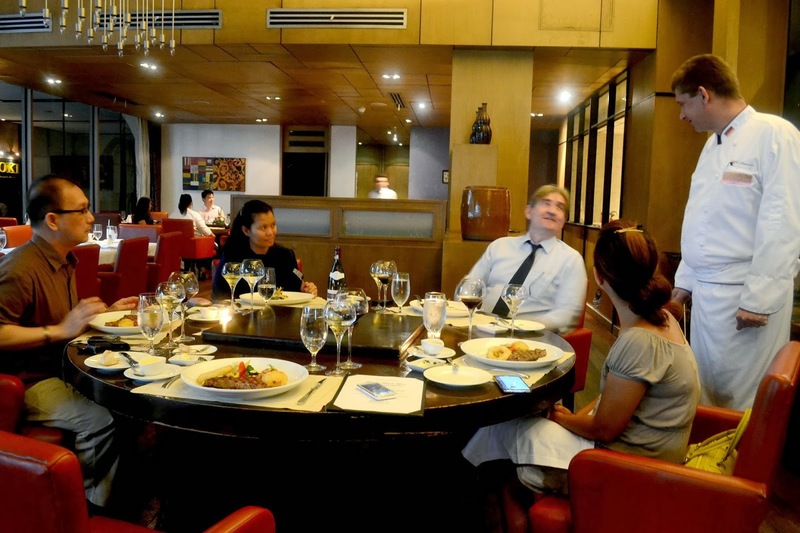 A couple of days ago, I and two other bloggers friends were invited by Le Cellier for a gourmet lunch at Aubergine Restaurant in BGC. I've been hearing a lot of great things about Aubergine Restaurant for years now but I still haven't found the time to visit until now, and I have to thank Le Cellier for that. Aubergine has been around for a decade and if you're familiar with BGC, you'll recall that there's just a handful of buildings in that area during that time. I believe that this is one of the few restaurants in BGC that witnessed the changing scene in the area. 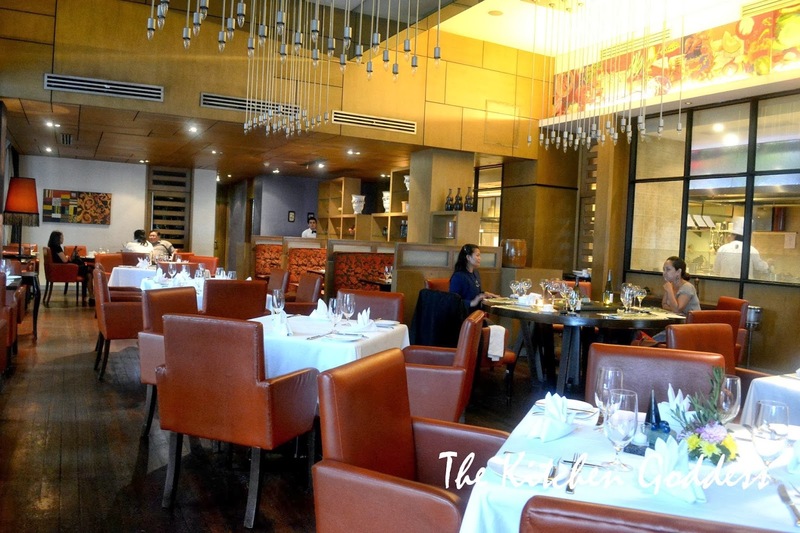 The restaurant was founded by Hansjorg Schallenberg and Norbert Gandler. They are also at the helm of International School for Culinary Arts and Management (ISCAHM) along Katipunan Avenue in Quezon City. Stefan Langenhan joined the team a few years after as the Executive Chef of Aubergine. 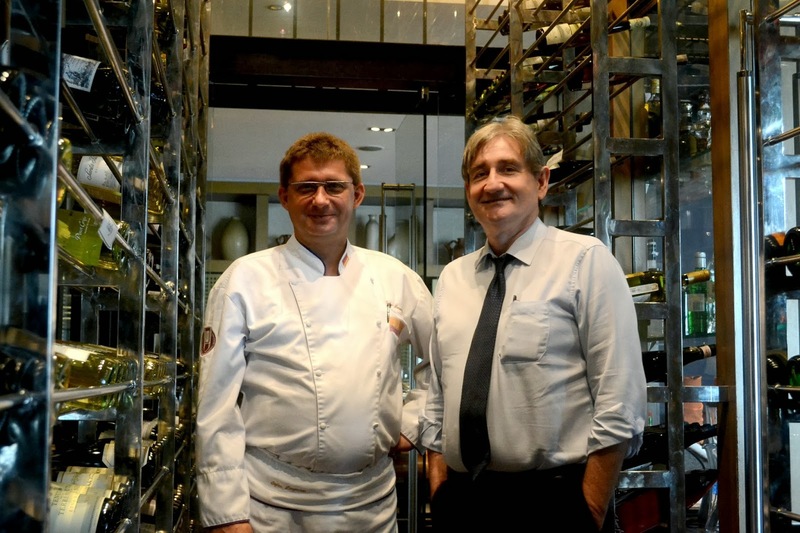 Executive Chef Stefan Langenhan with Le Cellier's Monsieur Bernard Flour. 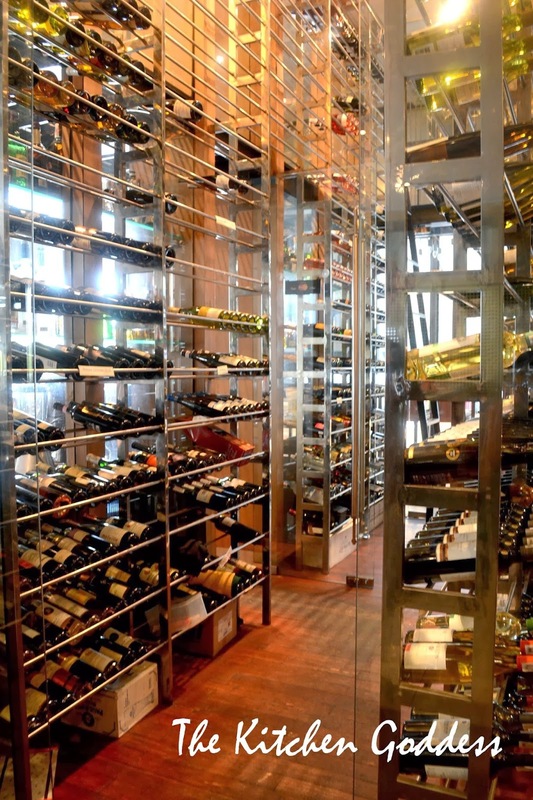 The state-of-art glass cellar of Aubergine where diners can actually walk in to choose their own bottles. According to Monsieur Flour, wines should be kept in a cellar or in a cool place. As a tip, he said that it is okay to place it in your fridge's crisper and he reiterated that a bottle should be consumed upon opening or not more than 24 hours. 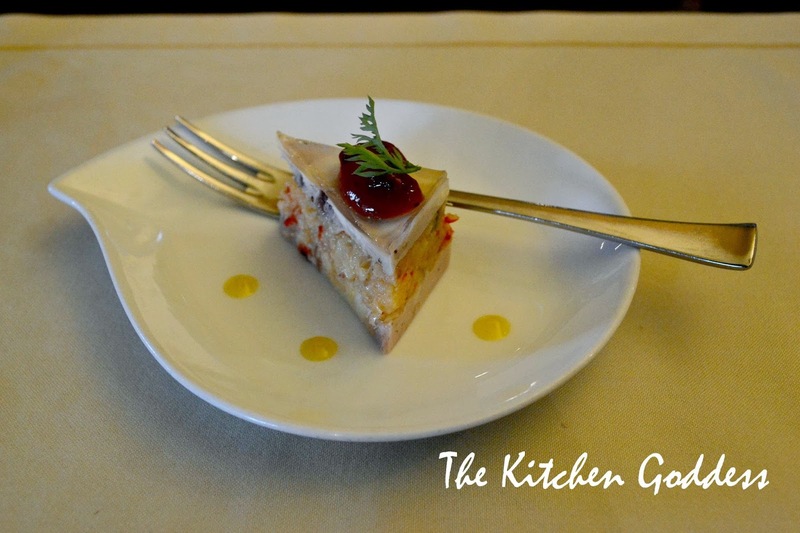 Sea bass terrine with cranberry and horseradish. Had it not been for the waiter who mentioned what it was, I would have thought that dessert comes first at this restaurant. ;) This is quite good, actually. A bit filling albeit its small portion. Cream of pumpkin and orange served with croutons. I love pumpkin soup so I chose this from the Business Lunch Menu. 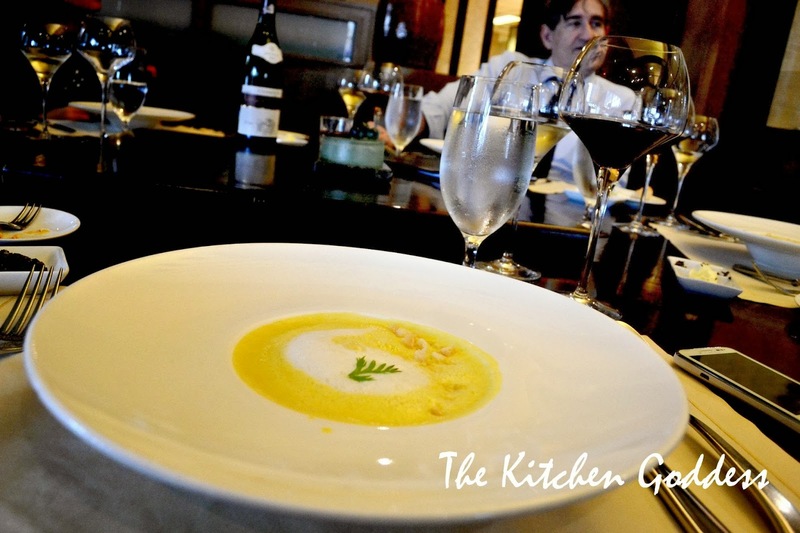 The flavors of pumpkin and orange are superbly intertwined that I am apt to say that this soup bewitched me! Red and white wine. Crozes Hermitage and Muscadet Sevre & Maine. 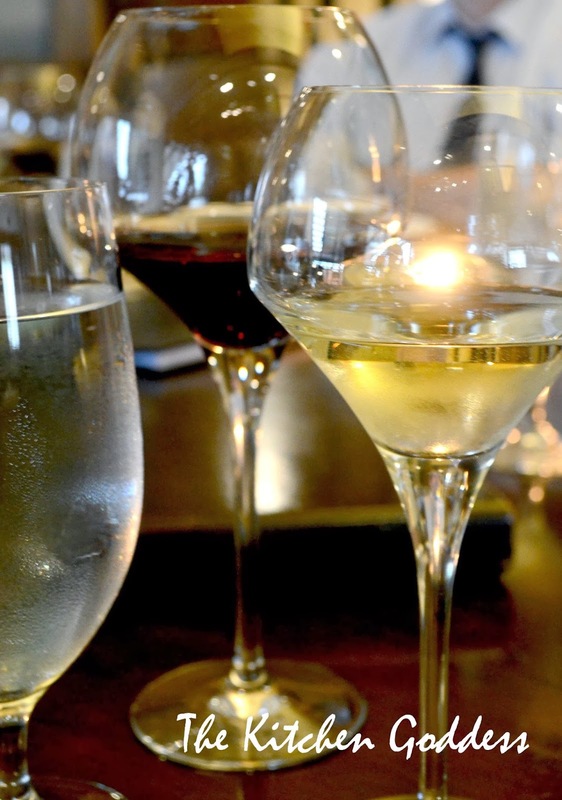 The wines are the latest addition to the numerous Le Cellier Wines being offered at Aubergine. Crozes Hermitage is a full-bodied red wine while Muscadet Sevre & Maine is light and fruity. I really liked the Muscadet Sevre & Maine and had about three glasses during the course of the meal. 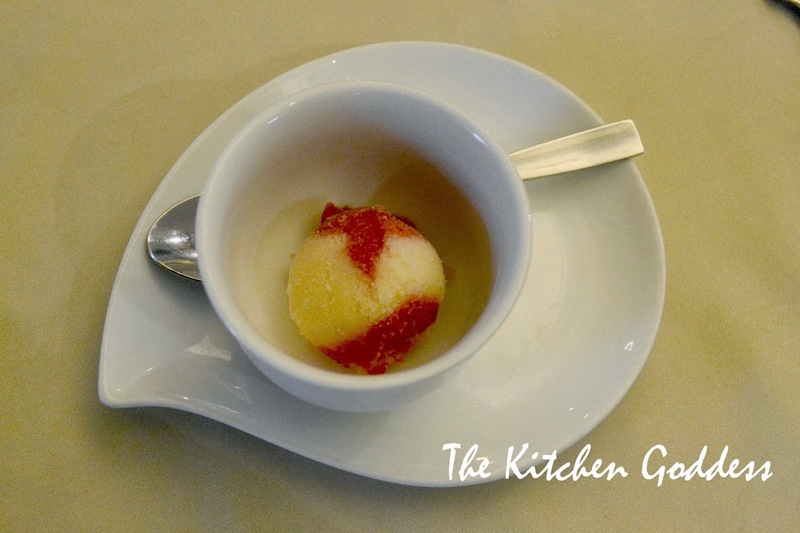 Melon and Raspberry Sorbet. Judging from experience, I know that the main course will be served after this. The raspberry overpowered the flavor of the melon though because I can't seem to detect its taste. 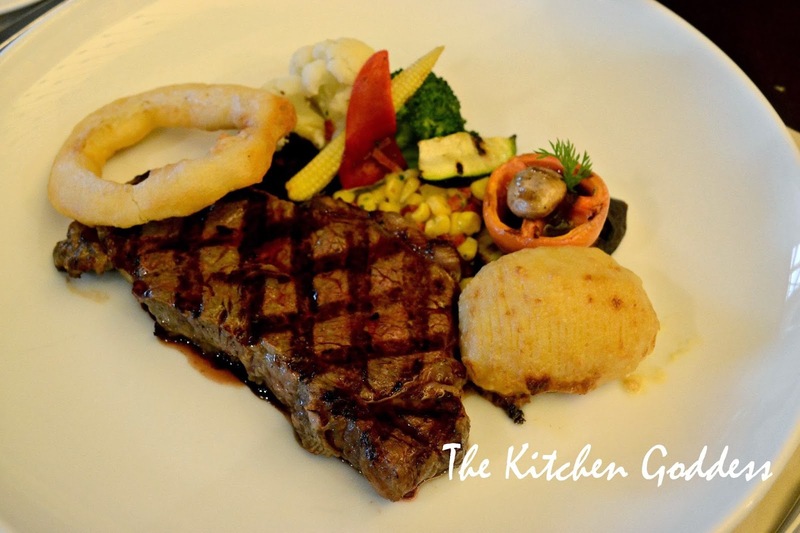 Grilled US Angus Striploin Steak. I had mine done medium well. Don't be fooled by the photo, this is really huge and thick steak. The vegetable sidings are also generous. I enjoyed the onion ring, potato, and zucchini most especially. Chef Stefan Langenhan dropped by our table for a friendly chat and asking us if we enjoyed the meal. Of course we did. Here's my meal experience equation: (good food + good wine) = the perfect pair (Aubergine + Le Cellier). 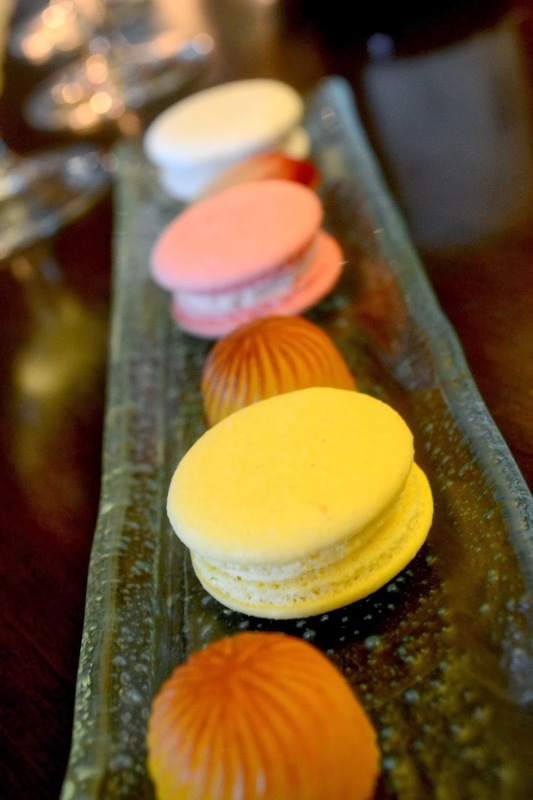 Macarons and Pralines. 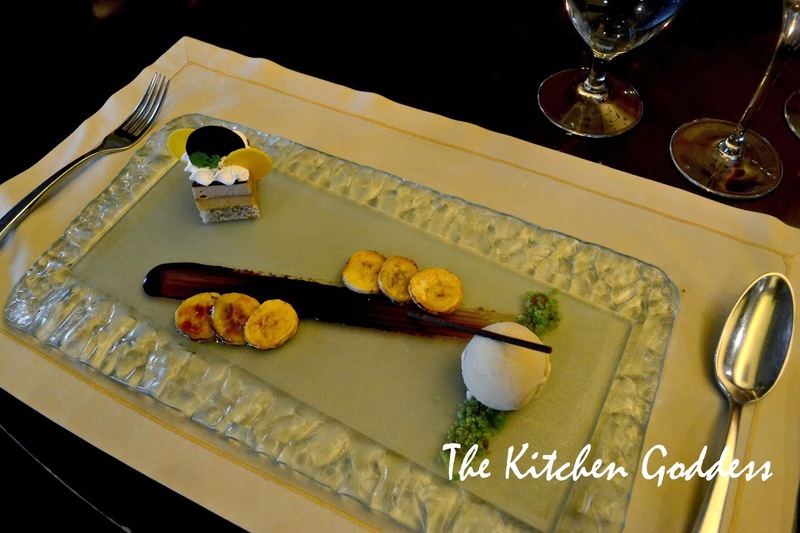 Just when we thought that we're done, the garcon brought these plate of sweets to our table. I had the white-colored macaron but I forgot to ask what flavor it was. Two thumbs up for it. Je vous remercie beaucoup pour le merveilleux repas. J'ai apprécié la nourriture, le vin et la société très bien et c'était une super expérience de manger. Ce fut un plaisir de tous vous rencontrer.